The easiest way by far to see Lake Como in just a day is to take Lake Como Day Trip from Milan, which visits the town of Como, with time for sightseeing, shopping, and lunch, then takes a cruise along the lake to the village of Bellagio before returning to Milan in the early evening. 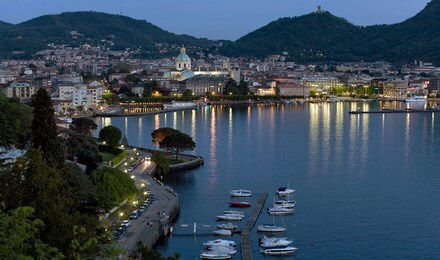 Relax on the 1-hour drive to Como. Start with a visit to Basilica of Sant'Abbondio and Villa Olmo, a neoclassical lakeside villa that's one of Como's most celebrated historic homes. Soak up picturesque views as you make your way to Bellagio, one of the many scenic villages surrounding the lake. You'll have free time to explore this delightful town on your own and have lunch (own expense). Back on board, savor the last views of Lake Como as you cruise to Cadenabbia, where you'll hop on the coach and head back to Milan, arriving around 6:30pm.